Specialization: Purva Mimamsa and Advaita Vedanta. Areas of Intererests: Manuscriptology, Indian Classical Music and Sanskrit Literature. 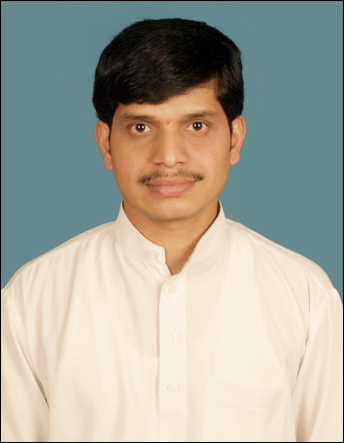 Brief Introduction:	Dr. Manjunath Bhat has been studied M.A. in Sanskrit from University of Mysore, Mysore. He has been awarded Ph.D from Rashtriya Sanskrit Vidyapeetha, Tirupati for his research thesis on “मीमांसकमतानुसारेण अर्थापत्त्यनुपलब्धिप्रमाणविमर्शः ”. He studied Traditional Sanskrit from Maharaja Sanskrit College of Mysore and got Vidwat in Purvamimamsa and Advaita Vedanta. He worked as a guest lecturer at University Evening College, Mysore and also worked as research assistant on Vatulasuddhagama project at Indira Gandhi National Center for the Arts, New Delhi. He has also worked as a research fellow on Sarvajnanottaravritti of Aghorasivacharya at École Française d’Êxtreme Orient, Pondichery. He has presented papers on several national & International conferences and workshops. Presently he is working as Assistant Professor in Shastra Faculty.